Dyson shifts up a gear with electric car hub - Integration Through Media ....! 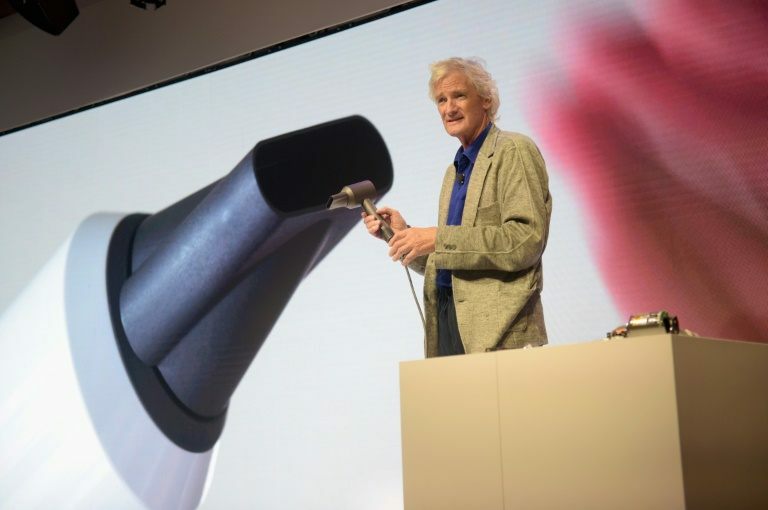 LONDON, (AFP): James Dyson, the Brexit-backing billionaire behind the vacuum cleaners that bear his name, is establishing a new UK research hub as he shifts up a gear in his drive into electric cars. Dyson, speaking to AFP as his company published soaring profits on booming Asian sales, outlined plans to open a second research and development centre in a former Royal Air Force airfield in Hullavington, southwest England. The entrepreneur, who owns 100 percent of the company he founded in the 1970s, has revolutionised household appliances with his bagless vacuum cleaners, bladeless fans and air purifiers. Dyson now has Britain’s air pollution concerns in his sights and expressed confidence this week over the group’s electric car ambitions. The company will shift its 400-strong automotive engineering team to the sprawling Hullavington facility in May, alongside workers from other divisions. The first vehicle — as yet unnamed — will be available for orders from 2020. “We will be taking orders. You can order one now, if you like,” he joked in a telephone interview with AFP from nearby Malmesbury, where the group has its main base. The exact manufacturing location is “still under discussion”, he added, but indicated that it would either be in Britain or Asia. A five-year investment programme ending in 2021 will see the bulk of £2.5 billion ($3.5 billion, 2.8 billion euros) pumped into Dyson’s automotive unit. In Britain, new car sales fell for the first time in six years during 2017, largely on plummeting demand for diesel-powered vehicles, industry data showed. Total sales dropped 5.7 percent to 2.54 million vehicles, the first annual drop since 2011, according to the Society of Motor Manufacturers and Traders. And Brexit-fuelled inflation caused by a weaker pound has also hit demand, it said. Turning to Brexit, Dyson — a vocal Leave supporter in the run-up to Britain’s shock EU exit referendum in 2016 — expressed hope that London would reach a free trade deal with Brussels. Without an accord, bilateral trade would likely be subject to higher World Trade Organization (WTO) tariffs. “I hope that (Britain) can come to an agreement… but we are already operating quite successfully without an agreement,” he told AFP. Dyson explained that because his company makes goods in Asia, it already has to pay WTO duties to Brussels for items heading to Europe. Dyson Group said that 2017 operating profit surged by almost one third to around £800 million, aided by fast growth in China, India, Japan, Korea and Taiwan. Revenues leapt 40 percent to £3.5 billion.